How do you know when Santa’s in the room? You can sense his presents. What goes “oh oh oh”? Santa walking backwards. In keeping with Jim Varnum’s tradition, This & That will be reporting first sightings of our great overwintering and migratory bird populations. We’ll list the first 100 species reported, or until the March 15-31 This and That, whichever comes first. Send word of your avian finds to nature_links@yahoo.com, with the species, location, and date of sighting. Thanks to Suzanne Tuttle for a reminder about this Varnumesque tradition. Dr. Doug Tallamy, the nationally-acclaimed author of “Bringing Nature Home: How You Can Sustain Wildlife with Native Plants” will be speaking at the Medical Center of Lewisville Grand Theater in Old Town Lewisville on Saturday, January 14. He will discuss why it is important to plant native plants in our residential landscapes to help support the bees, butterflies, and birds that depend on them for food sources. Another plus is that the use of native plants will also help reduce water bills. 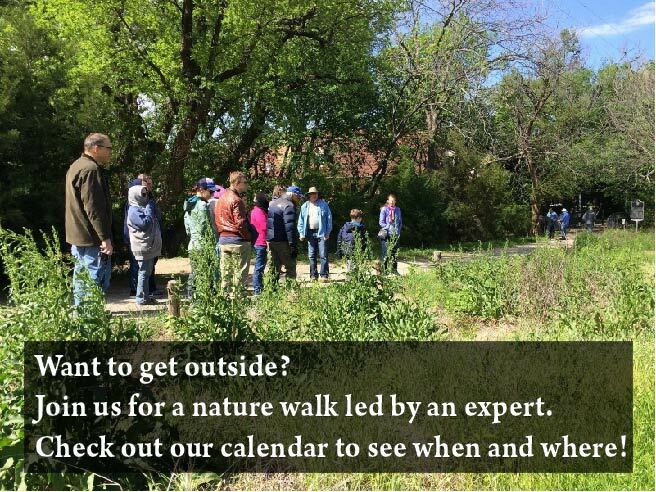 The workshop will also feature Dr. Mike Merchant, entomologist with Texas A&M AgriLife Extension, who will speak about which specific plants will do well In our North Texas area, and what native insects they support. The morning will wrap up with a panel discussion that includes the two speakers, a homeowner, a landscaper specializing in the use of native plants, and a Neighborhood Services representative. There will also be a number of information booths where attendees may gather solid information on plants to use, how to care for them, and resources for purchasing. Of course, organic solutions will be emphasized. You can register online at bit.ly/CoLRegistration. Registration is $10 for Lewisville residents and $15 for nonresidents. During the last weeks of 2016, many of us are making resolutions for next year. How about making a resolution to pick up trash…and make our waterways – and all those waterways downstream – a little bit cleaner? One easy resolution: take the “10 on Tuesday” pledge. 10 pieces of trash, once a week, really can make a difference. Check out http://reverselitter.com/help/ for more information. Were you lucky enough to snap up some great native plants at the fall plant sales? With the coming cold weather, they need special care…check out http://texasdiscoverygardens.org/plant_sale.php for a great list of plant-care tips from Roger Sanderson of Texas Discovery Gardens.